Formerly the Personal Profile Series®, updated with a new name and look, DiSC® Classic . The foundation of personal and professional success lies in understanding yourself, understanding others and realizing the impact of personal behavior on others. 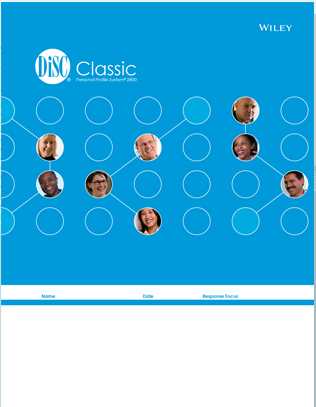 For 30 years the Personal Profile® System (now DiSCr® Classic) has helped to improve productivity. To receive a free copy of this product, see the Free Sample button below. DiSC® Classic is a registered trademark of Wiley.